Nightflyers debuted a frightening trailer at San Diego Comic-Con 2018. The TV show is based off of the 1980 novella written by George RR Martin (Game of Thrones). Due to his exclusivity contract with HBO, Martin will not be involved in producing the show. Martin has given his blessing to Jeff Buhler's pilot and praised the casting of Jodi Turner-Smith as Melantha Jhirl. Despite Martin not being directly involved, there will undoubtedly be comparisons between Nightflyers and his other work. Producers David Bartis and Gene Klein talked briefly about how they plan to stay out of the shadow of Game of Thrones and what it meant to get Martin's blessing for the pilot. George RR Martin always intended for Melantha Jhirl to be a black woman but both the cover art of the 1985 book and the movie white-washed the character. 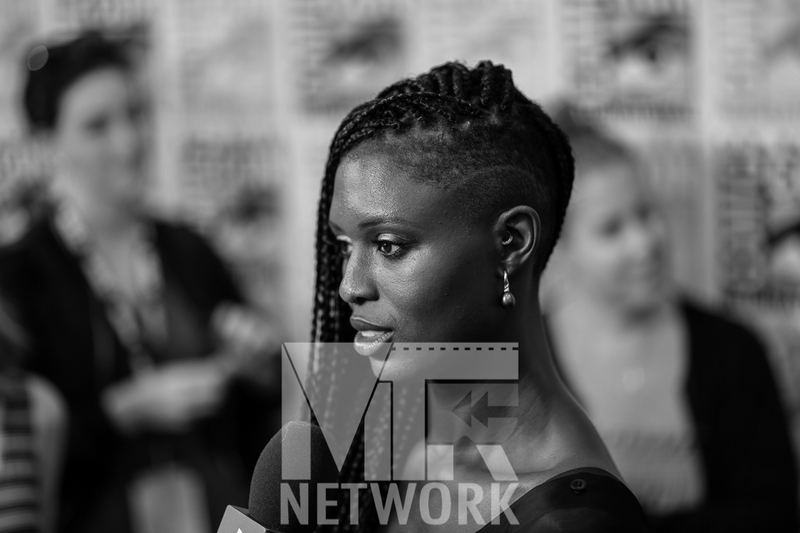 Martin reached out to the producers of the TV show to ensure that it didn't happen a third time and he was thrilled that they listened and cast Jodie Turner-Smith. Nightflyers is being co-produced between Syfy and Netflix with the latter having first-run rights outside of the United States.